I have previously posted that my Uncle was a USAF FAC embedded with an SF unit in Song Be (1962). He recently send this knife to my Dad and I picked it up in Boise last week. 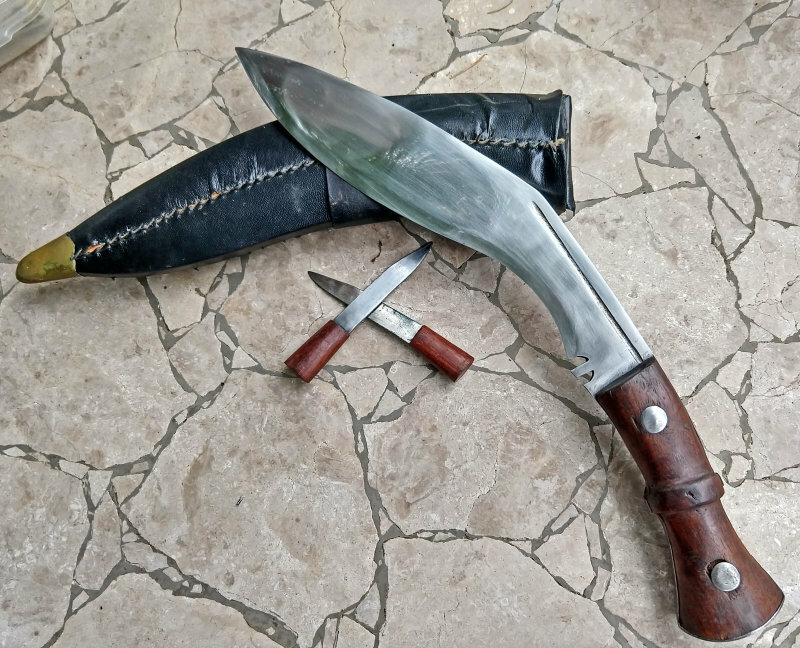 This is an Indian Army WW2 pattern kukri. 17 inches long. It had some wicked rust from the sheath (DON'T store your knife in a sheath). Someone has taken a buffer to it and polished the spine and possibly removed any markings (grind lines near the scales). I've gotten most of the rust off. Nice piece of family history, congrats. There is a world of info out there. Here is a guy from the UK that collects Kukri’s. Some good info. A great resource! Thanx JJ_BPK.